Dr. Alexandra Plows (Alex) is a Research Fellow at Bangor University. Alex recently completed a project with Professor Tony Dobbins, Anticipatory responses to mass redundancy in the Welsh nuclear power industry, which mapped stakeholder and worker responses to the forthcoming closure of Wylfa nuclear power station, Anglesey. Alex has recently won an ESRC/ Bangor University Impact Acceleration Award, to run a stakeholder/academic knowledge exchange event, ‘Wales Labour Market Summit II: Comparing policy interventions to challenge ‘business as usual’ , September 2016. http://wiserd.ac.uk/training-events/event/wales-labour-market-summit-ii-comparing-policy-interventions-challenge-business-usual/#sthash.YH6b8Z0E.dpbs This will be a platform for comparing, debating, and informing policy interventions in response to large-scale job losses across traditional industries (deindustrialisation) and aims to build on the success of the first Summit, held in 2015. Alex is also Principal Investigator on the AHRC funded “smARTcities and waste” project : Developing an arts-led, interdisciplinary, European network for waste management and treatment innovation. http://gtr.rcuk.ac.uk/projects?ref=AH/N005767/1 . 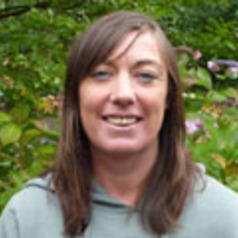 She is also a co-investigator on the AHRC funded Research project Hydrocitizenship http://www.hydrocitizenship.com/ . This project is undertaking arts- based participatory approaches to issues of water and citizenship in specific UK localities. Alex was previously a Research Fellow at WISERD (The Wales Institute of Social and Economic Research, Data and Methods), School of Social Sciences, Bangor University. Between 2003-2009 she worked at Cardiff University as a Research Associate in the Centre for Economic and Social Aspects of Genomics (Cesagen), identifying and theorising public engagement with human genetics/ genomics and related areas of bioscience such as nanotechnology and stem cells. Alex also works as an independent consultant.